URGENT - Help Wipe Out The Robocall Legal Bill! The Council of Canadians hasn't added a story. Eight brave Canadians are embarking on the most important fight for democracy in Canadian history: the robocall cases. Starting December 10th, the Federal Court will hear compelling evidence that a widespread, targeted and coordinated campaign of voter suppression and fraud affected the results of the 2011 federal election. These are landmark cases. Never before has there been an attack of this scale on our most fundamental democratic right – an attack that must be vigorously challenged. But the inaction of the Canadian government has revealed it doesn’t believe this is a priority. Enter the eight Canadians who believe it is and who are doing something about it. Driven by civic responsibility and a strong moral compass, they are taking this reprehensible attack to court, and fighting to legally restore both voters’ rights and the integrity of our democracy. Getting this far is no small feat. For ten months, they and their legal team have beaten the odds and bested great adversity, most notably from Conservative Party MPs and their lawyers, who have tried every legal means imaginable to stop them. But it has come with a significant cost. The Conservatives’ relentless legal obstructions have drastically driven costs up. Now, just days away from Federal Court, a hefty $300,000 legal bill hangs over the cases – a bill they simply cannot afford. That’s where you come in. They have taken a stand to defend the very democracy every Canadian holds dear – and now they urgently need your help. The Council of Canadians has established the Democracy 24/7 Legal Fund to raise the $300,000 needed through donations from concerned citizens like you. All it takes is 12,000 of us to each chip in $25 right now. What do you say? Will you help? 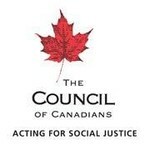 The Council of Canadians hasn't posted any updates yet. The Council of Canadians is managing the funds for this campaign.